Adding a video to a candidate position is a two part process. 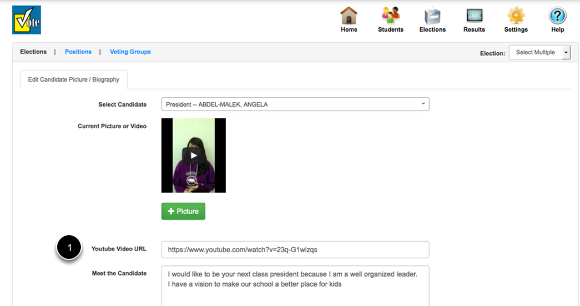 First you have to create and upload the video to YouTube, then you have to link the video to your candidate. This video will show you have to upload a video using a iPhone. Different smart phones will be slightly different in the process. 1. If you don’t currently have a YouTube account, go to www.youtube.com and create an account. 2. Use your iPhone to take video of your candidates. Each candidate should have their own video. 3. 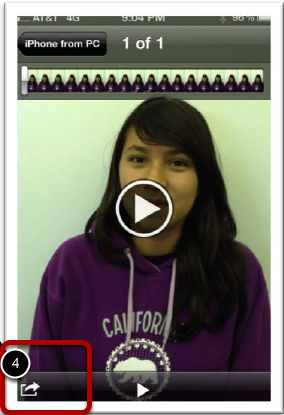 Go into your photos and locate your video. 4. Click the Export icon on the lower left corner. 6. 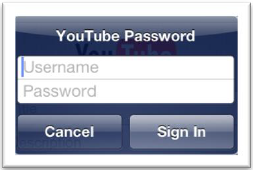 If you have not signed in before, use your YouTube user name and password to sign in. 7. You will be prompted for a title, description, tag and category. Title will show up on your video so it is best to use the student name here. The box is small so we suggest just first name. 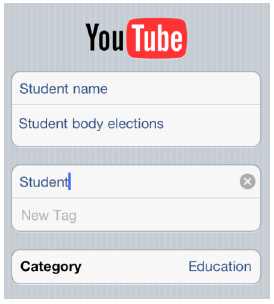 YouTube requires a description, 1 tag and category, but for our purposes it does not matter what you type in there. 8. For the final option, choose Unlisted. 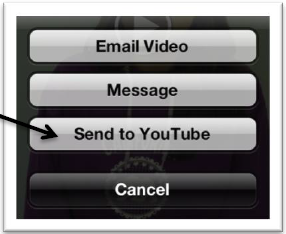 With this option only people with a direct link can access the video. 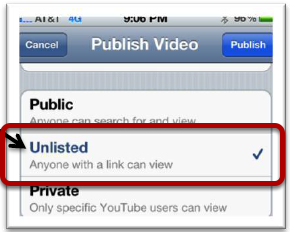 Videos are not searchable on YouTube and videos can only be seen if someone clicks on a specific link or used in our voting application. Then click Publish. 9. 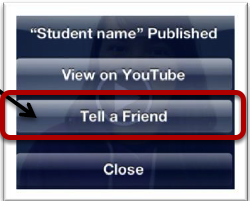 After the video has finished uploading and is published, choose the option Tell a Friend. This will open up an e-mail on your phone. Just send the message to yourself. The video will override any pictures that are uploaded. To remove the video just remove the text link in the "Youtube Video URL" section.